The After School Specials have us reminiscing of younger days. To say that Boys Like Girls' "The Great Escape" was a staple of every high school dance would be an absolute understatement. The song has enthusiasm, inspiration, life and a no regrets sort of vibe that makes it so easy on the ears. And somehow, the After School Specials of the Claremont Colleges has us falling in love with the track all over again. But this time, the stakes are even higher as the group has fashioned the arrangement to be even more inspiring and captivating. 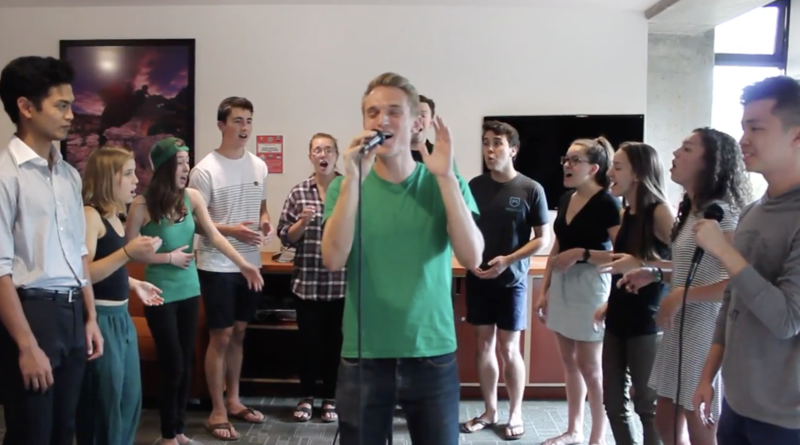 In this #TBT, the coed vocal group takes us all on a fantastical ride down memory lane with a song that played as the musical backdrop for many high school graduations. The After School Specials' version stays true to the song's alt-rock nature, but it is the minor nuances such as the restructured chords and the harmonics of both the first chorus and the song's closing that make the experience so remarkable. Factor this in with a lead who can actually deliver a true rock solo with charisma and there was no way this performance could fail. As spectacular as all of this is, the cohesiveness of the backing group and their ability to provide the necessary support for such a risky arrangement is quite impressive. This is what aca-dreams are made of.